I have a tendency to choose a certain snack and munch on it for a week or two. 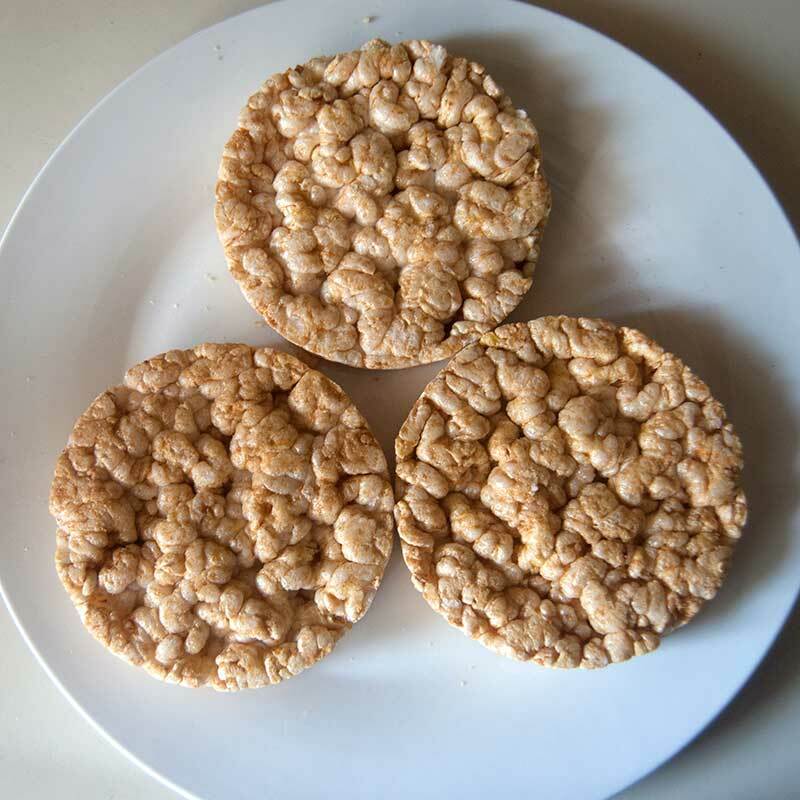 This past week my snack of choice was a rice cake snack from my childhood, made even tastier (and unhealthy) by using caramel rice cakes in place of the normal ones. 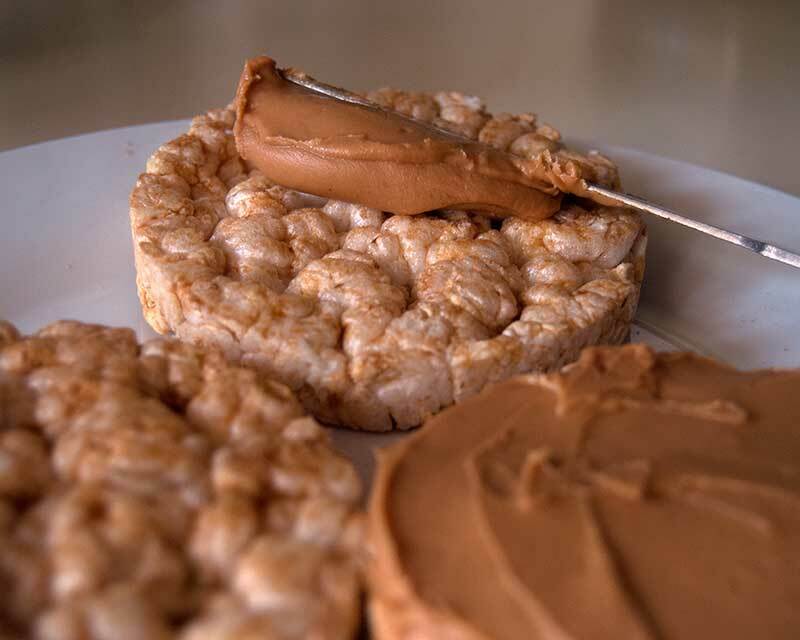 Next, spread peanut butter (or nut/seed butter of choice) on your rice cakes. 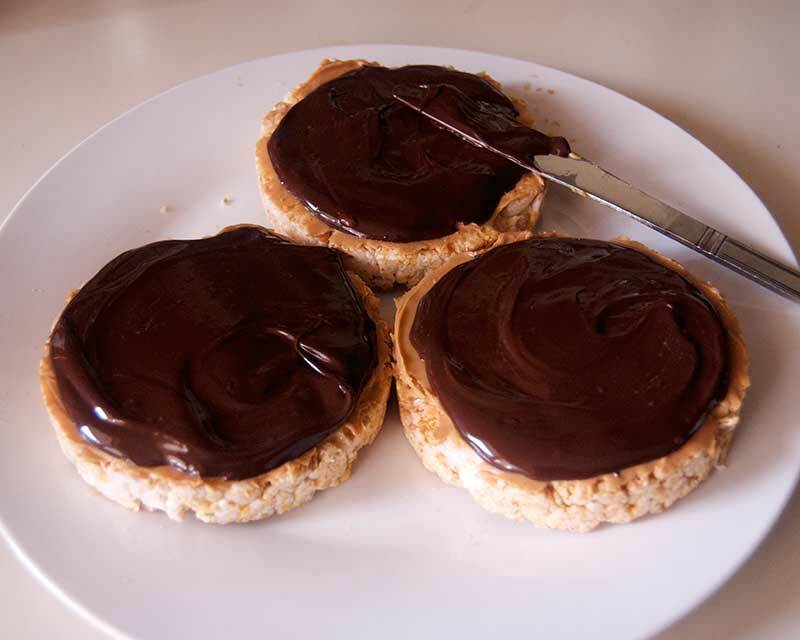 And spread over the peanut butter layer. 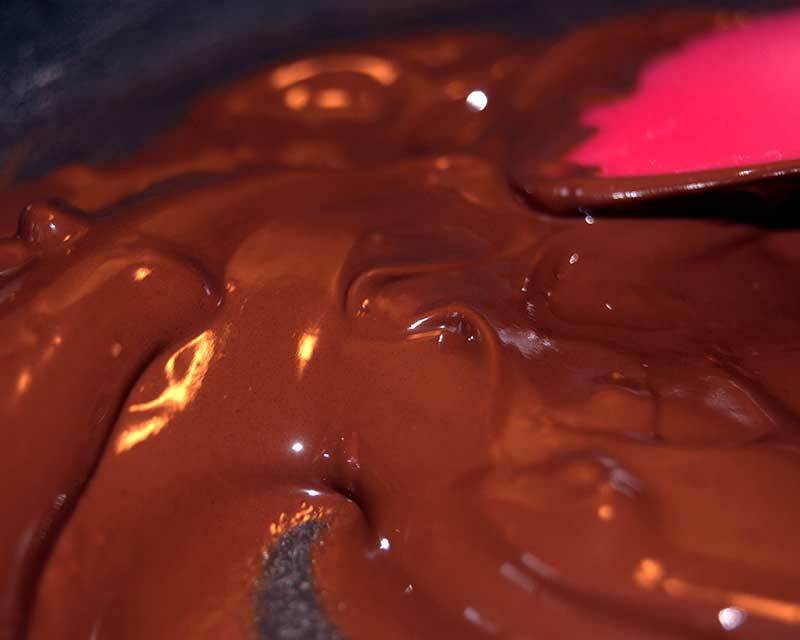 Then pop them in the fridge until the chocolate hardens and enjoy your snack! 🙂 Have a wonderful Monday, everyone!